Ericsson (NASDAQ:ERIC) has unveiled a new web development platform that will allow any connected device to be turned into an always-open communications device. 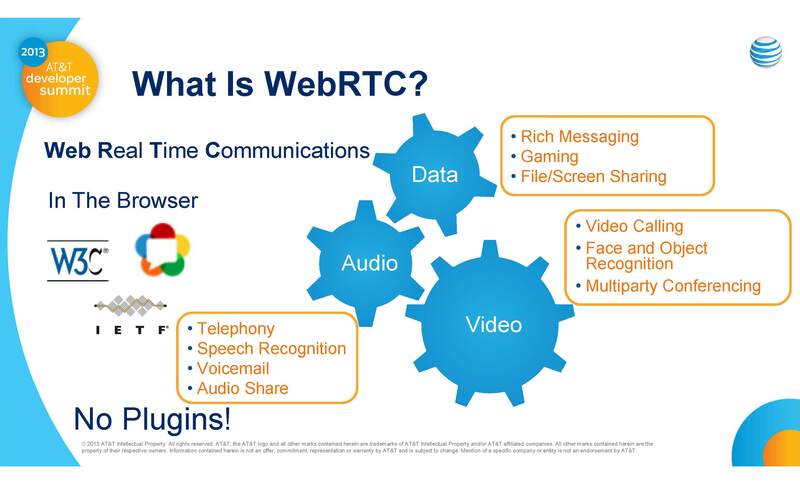 The world's first IMS-based "Web Real Time Communications" (WebRTC) platform enables web applications that will greatly expand the ecosystem for enterprise and consumers. By enabling any device to be reached by an existing mobile number, developers are empowered to re-invent existing communication services, create completely new communication paradigms and allow customers to receive increased value from their mobile service. At the AT&T Developer Summit, AT&T announced its Call Management API powered by Ericsson's new IMS Innovation Platform, which is now in Alpha. Additionally, developers were invited to a Hackathon on January 5 and 6 where they competed for prizes while using the AT&T Call Management API to invent new applications and services during a 30-hour race for innovation. The Hackathon prizes, offered by AT&T, totaled 200,000 US dollars. The first place overall prize - 30,000 USD - was awarded to Ruggero Scorcioni for the call-management app "Good Times," which uses a headset to read brainwaves. If the user has very busy brainwaves, the "Good Times" app informs callers that it's better to call back at another time. The contest shows that more innovation is happening in communication today than has happened in the previous 30 years. Relevance and simplicity are key to success. By developing this new platform, Ericsson is allowing developers to unleash their creativity for new applications that will no longer be limited by the technology platforms they are built upon. Geoff Hollingworth, head of Business Innovation, Ericsson North America, said: "Developers will take the concept of the existing phone call, see it as a digital stream and innovate accordingly. Recording, transcribing, contextualizing, translating, on any connected device, using people's existing phone number - all are just the beginnings of possibility." Ericsson provide products and solutions to use WebRTC technology for web based clients to connect to the operators' telecom environment both for web to web communication as well as for web to IMS/legacy interworking.